Textured tonal stripe polo with moisture-wicking properties. Three-button placket, open cuff and contrast coverstitch detail. 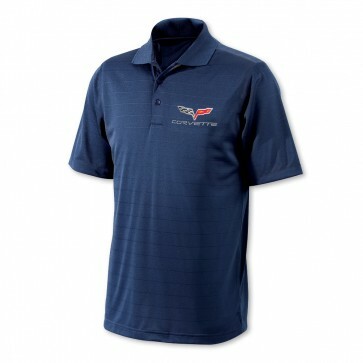 Embroidered Corvette C6 logo on left chest 100% polyester. Imported.